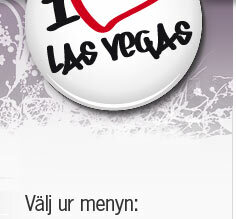 I Love Las Vegas - hotell, kasinon, shopping och fakta om Las Vegas. 10% RABATT när du bokar biljetter online! Mandalay Bay is the hotel, located on the southern part of the Strip. The hotel which is known for its wonderful sandy beach, where you can relax in one of their huts and take a swim in one of their three pools. 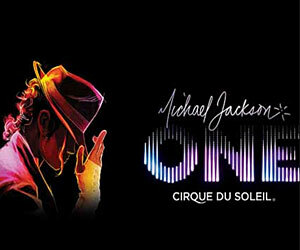 A great show with advanced circus acrobatics to Michael Jackson's greatest hits. Do not miss this show if you are in Las Vegas and maybe are staying at Mandalay Bay. The hotel opened on March 2, 1999. The hotel is 39 storeys high. The theme is South-East Asia. Mandalay Bay has three pools. On the same site was previously Hacienda hotel, which opened in 1956 and blown up on New Year's Eve 1996. Mandalay Bay has been seen in some movies, among others: Rocky Balboa (2006) and Ocean Thirteen (2007). At the opening of the Mandalay Bay Dan Aykroyd, Jim Belushi and John Goodman drow in a parade through the doors on their Harley-Davidson motorcycles. Outside the restaurant - the Red Square - is a headless statue of Lenin. See what other events are being played at the Event Center in Las Vegas. Here are Caribbean Stud Poker, Blackjack, Pai Gow Poker, Craps, Let It Ride, Poker, Baccarat, Roulette, Megabucks och Super Megabucks. Enkel och säker bokning med kreditkort. Bekräftelse på din bokning via e-post. Bilder: SXC och Mandalay Bay´s hemsida. I Love the World - boka hotell och vandrarhem i hela världen!